Not even physicians understand health insurance, eh not even? 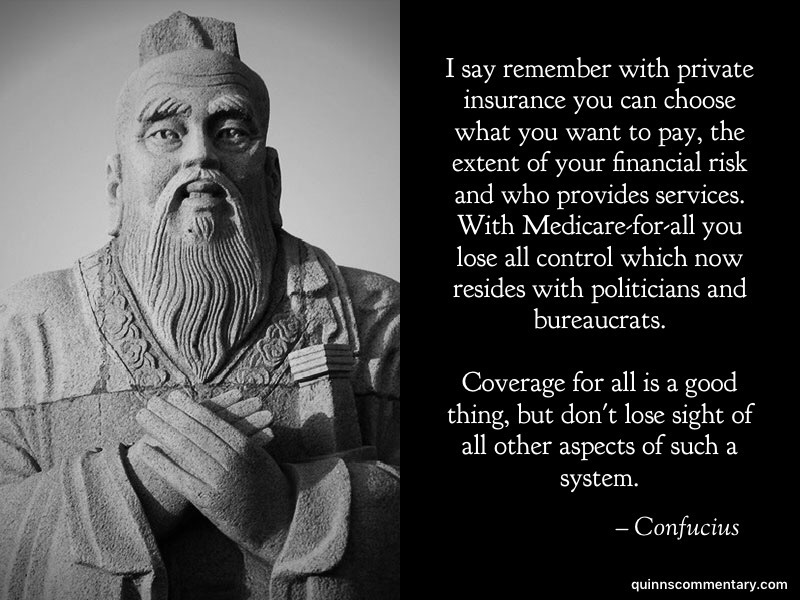 Sorry, i have no problem with Medicare for all, if we offer it at rates in place today, where part A costs $400+ a month, Medicare Part B costs $400+ a month and Part D costs $200+ a month, so each person who enrolled pays $1,000 a month in premium. Those are the costs for those who did not complete 40 qualifying quarters under part A. Else, this is just one more taxpayer subsidy to the middle class for D’s to buy votes from their base using other people’s money. More crap from the socialist idiot. Confuse-us says… How does Bernie and his political pals plan to pay for this or does our now over 20 trillion debt need an adjustment? Jack B – Bernie and his pals will not be happy until the debt is 40 trillion and we have to shut down the DoD because we can only afford to pay the interest on the debt and Medicare for All. Watching the political elite over the last 40 years has shown they are not the brightest bunch.